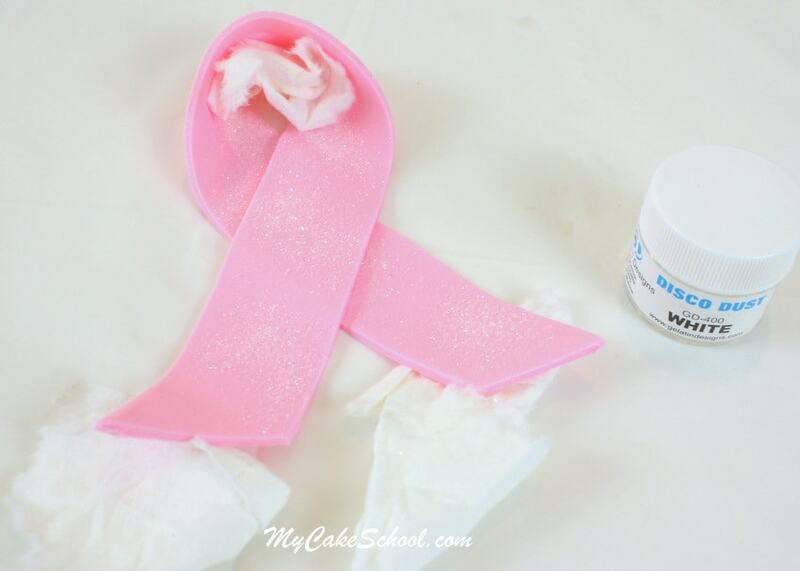 Hi everyone!- Today we created a cake tutorial in honor of Breast Cancer Awareness month. We have all been touched in one way or another by breast cancer…whether personally or through someone that we love. Today’s cake is a simple one, but for those of you who are looking for ideas for various fundraisers and events this month, I hope you find it helpful! Next, I tinted some fondant (with a little tylose kneaded into it to firm it up) with Americolor Deep Pink coloring gel. Gum paste would be great for this also. I then rolled it out to approximately 1/8 inch. 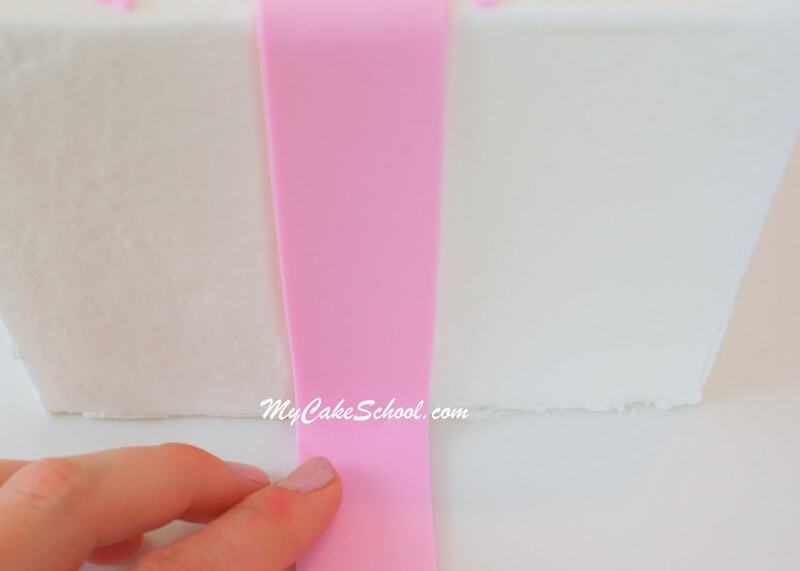 Next, I used an acrylic ruler as my guide to cut out strips of fondant ribbon for what will become our gift cake. I placed a strip of fondant on each side of our cake, to make it look more like a gift. I trimmed off the excess at the bottom. For the loop, I cut about 12 inches worth of our fondant ribbon . You can see in the photo that I used bits of torn paper towel to hold the loop in position as it dries. It’s best to do this at least a few hours in advance to allow things to start to firm up. 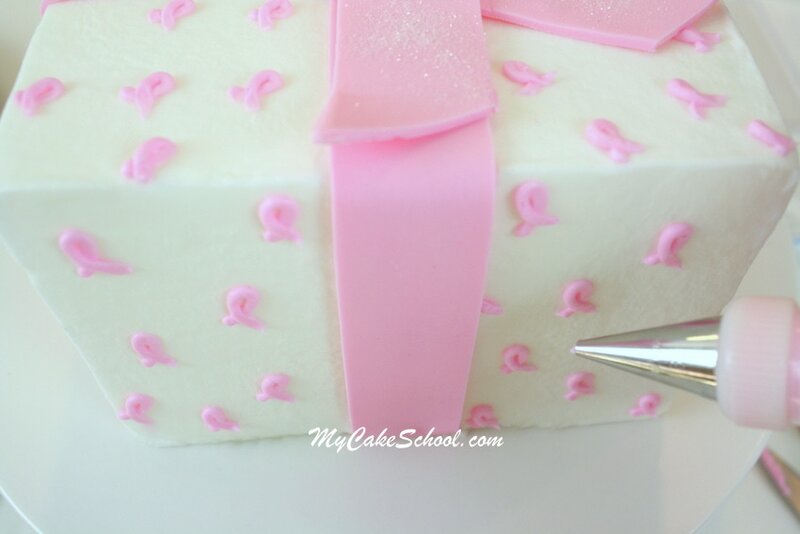 For our wrapping paper, we piped little pink loops all over the cake with a Wilton small round tip 3. Next, I was excited to use my new Martha Stewart letter mold! I pressed a ball into each letter that I needed, rolled it with a rolling pin, and cut away the excess. That’s it! I added sprinkles in various shades of pink, as well as a few sugar pearls. Thank you so much for stopping by, we’ll see you next time! This cake truly touches my heart! Beautiful as always, Melissa!! 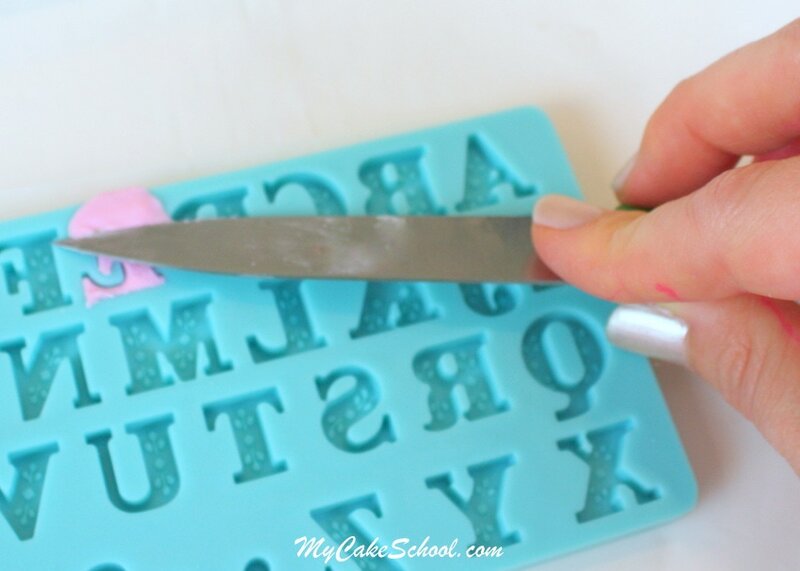 I LOVE those letter cutters. From where can they be purchased? I love the MS letters-laying flat or standing up in cake designs. This is a beautiful cake and I would love to make one of these for my mom. 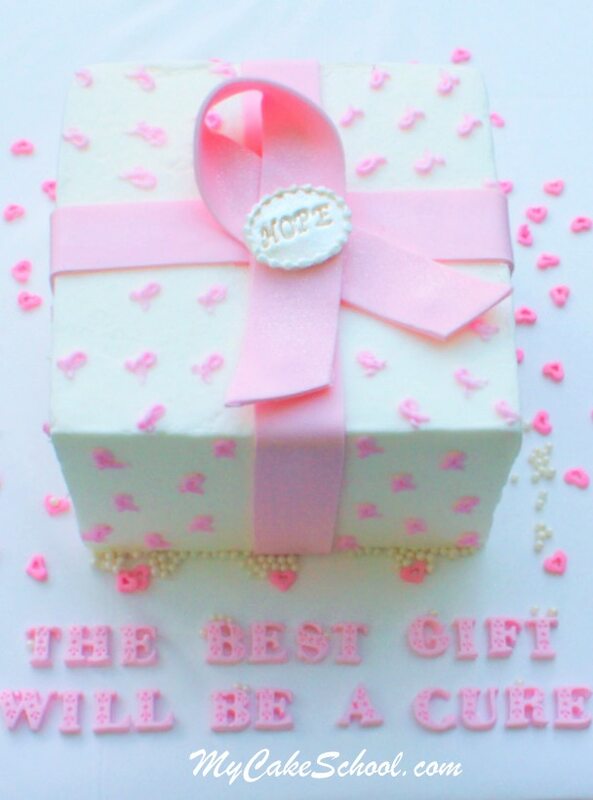 She is a survivor of breast cancer and this would make a wonderful treat. Hi Patricia, Thank you for you nice comment on the site. Are you using wafer paper or icing sheets when you make the edible image design? 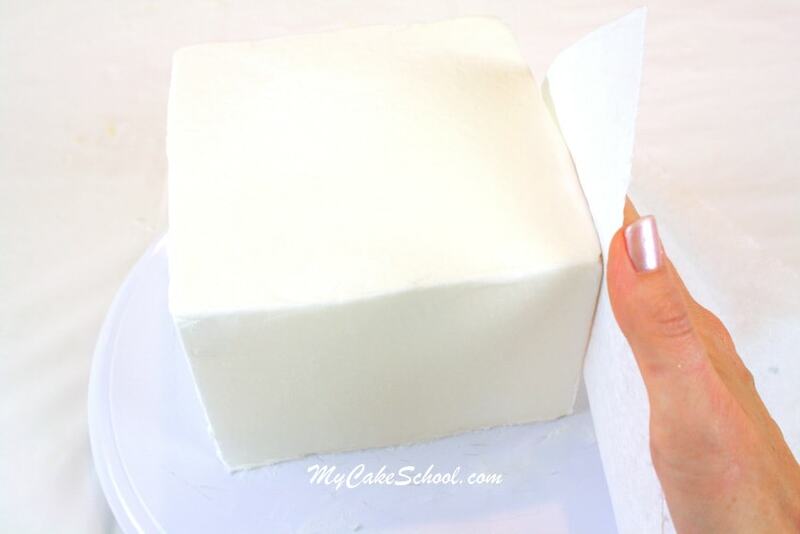 The icing sheets will melt right into buttercream. Wafer paper does not melt completely. I hope this helps. Huge message, simple cake!! Thank you. What remarks do you publish?